The enormous capacity of marine areas to produce energy and food offers the humankind the opportunity to cope with the imminent and future challenges related to climate change and food production. We need not go far to find solutions – the majority of the world’s population live close to marine areas and waters. Marine areas would have the potential to sustainably produce more electricity energy than the humankind is using now. At the moment, however, renewable marine energy production covers only a small share of the global need for energy. In particular, the growing electricity production is expected to be strongly based on renewable offshore solutions, as also proven by the rapid growth of investments in marine wind power. Those who live and seek growth from the sea should stop and think about the boom of renewable offshore energy, as the world leaders in this can be found in Europe. For example, 90% of the global production of offshore wind power takes place in Europe. European companies hold 66% of the patents concerning tidal energy and 44% of the wave energy patents. This means that the European industry stands to benefit significantly from the growth of the sector. All possible means are needed to cut climate emissions, which also means a growing need for additional investments in renewable offshore energy production. Increased production of marine energy creates pressures to develop marine spatial planning and location guidance. 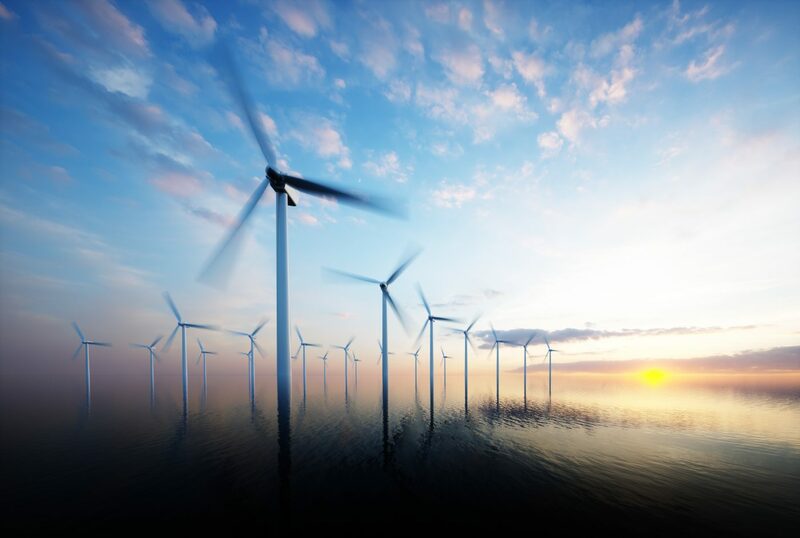 In Europe the aim is to promote the multiple use of marine areas, such as by bringing aquaculture and wind power parks to the same production areas. By designating areas for multiple use we can speed up certain procedures, including those relating to permits. Placing operations close to each other also enables more efficient maintenance works. By developing shared production areas we can promote the growth and profitability of both sectors. The blue bioeconomy and offshore energy production also meet in shipyards and maritime industry companies. Both aquaculture producers and offshore energy industry need structures and maintenance vessels that work in the challenging marine conditions. They also need solutions by which the production can be guided from dry land. Both the renewable offshore energy production and blue bioeconomy benefit from innovative and competitive marine and shipyard industry. Marine industry companies are already showing interest in the opportunities for blue growth. However, there is still room for much more synergy and cooperation. Grasping the opportunities offered by blue growth requires a new perspective and frame of mind where a comprehensive view is adopted on the growth of the marine sector. A common perspective helps the authorities, researchers and industry perceive the shared development needs in the sector and motivates to invest in the development of solutions. Opportunities for renewal are abundant as the financers always hope to create collaboration across sectoral borders. Building new partnerships was also one of the key targets in the application process concerning funding for the blue bioeconomy. The opportunity for sustainable growth is in the seas. This work should be started by changing the perspective and through collaboration. This is what feeds innovation. 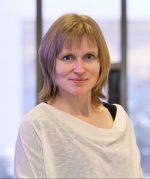 The author, product manager Piia Moilanen works on innovative public procurement at Business Finland. At the moment she also works part-time at the Ministry of Agriculture and Forestry under a staff exchange programme. She learned a lot about water and marine technology in her previous tasks as the head of the Water Programme and the Arctic Seas Programme of the Finnish Funding Agency for Technology Tekes. Read more: Blue bioeconomy blog series in Bioeconomy.fi. Published (in Finnish) November 11, 2018.